The annual High Tea of Hope event, organized by the Pink Earth Angels Breast Cancer Support Group to celebrate breast cancer survivors, was held at the Hotel Saskatchewan in Regina on October 14. 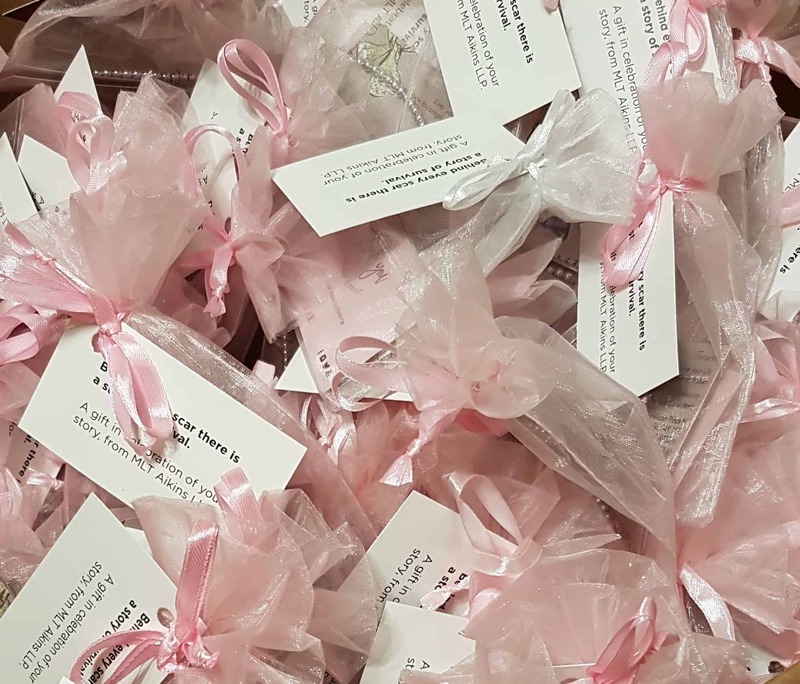 MLT Aikins was a sponsor of High Tea of Hope, which saw 200 breast cancer survivors receive Tocara Pink Crystal Natalie stretch bracelets. Roberta Johnston coordinated the event and arranged for the delivery of the bracelets. High Tea of Hope also featured a keynote presentation by Pam Klein, president of Phoenix Group and chair of Power of Pink, a benefit for breast cancer awareness. The firm was pleased to be a sponsor, and applauds Roberta on her efforts in coordinating the event. The Pink Earth Angels Breast Cancer Support Group is a network of breast cancer survivors that shares stories, information and coping strategies for living with breast cancer. Based in Regina, Roberta is a real estate paralegal who was been with the firm for more than 20 years. She has extensive experience in residential and commercial real estate transactions.